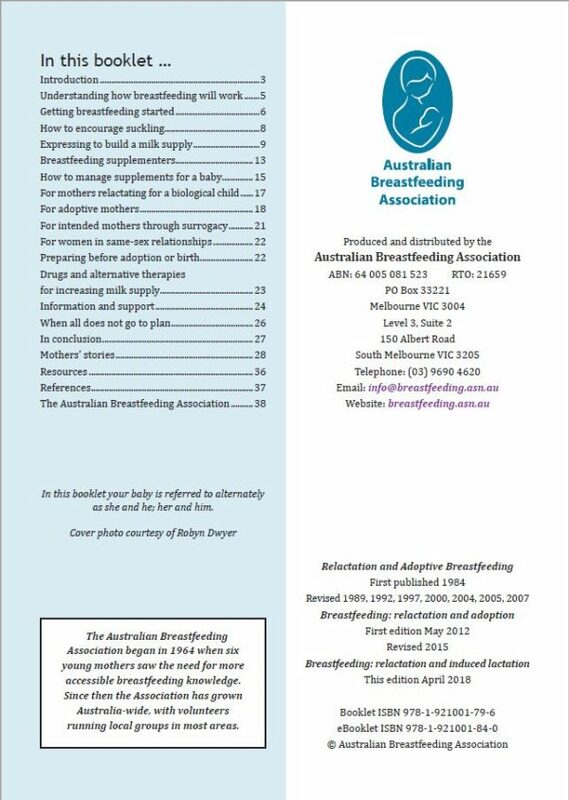 Breastfeeding: relactation and induced lactation covers relactation for a birth child who has been weaned, breastfeeding an adopted child or a child born via surrogacy. It includes information from scientific literature and the shared experiences of mothers. We hope that reading this booklet will help you decide if this is something you wish to do.